Wow, what a week it was! Every year Slush brings over 20,000 people to Helsinki in the midst of the harsh winter climate to celebrate the newest innovations in tech. 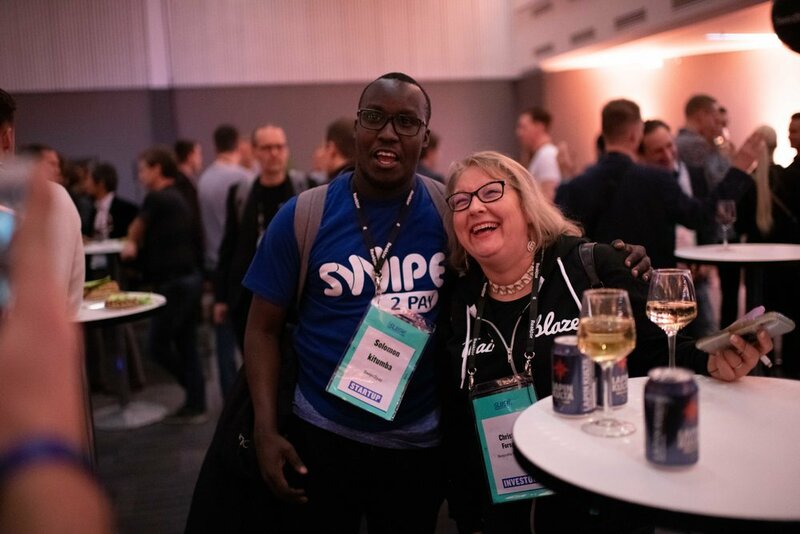 This year at Slush, fintech was highlighted more than ever before with over 10 fintech side events, main stage speakers such as Paypal, iZettle, and Klarna, and over 1,500 attendees from the financial vertical. With so much fintech attention our team was enthused to host the first ever Slush official side-event focused on finance- Finding Fintech. Finding Fintech started off by highlighting the 4 finalists (Swiftcourt, Fidesmo, Enfuce, Ondato) from the 2018 Lighthouse Development Program. Each finalist had a chance to present on stage and share their progress and business developments achieved during the Lighthouse program. The winner would be announced at the end of the event. Following pitches from the Lighthouse finalists Amy Neale joined the stage as the moderator of the event. With her experience leading the Mastercard Start Path program she had a great ability to appeal to both corporate and startup interests. She started by leading a fireside chat with banking executives Girts Berzins (Swedbank), Jari Jaulimo (OP Bank), and Riho Unt (SEB). Each shared their thoughts on the big picture transformation taking place in the financial marketplace and were pressed with questions about their toughest daily challenges and expectations of the impact fintech will have on traditional banking. Anthony Harrison from Divido took the stage as the first keynote speaker of the event. Divido is a graduate of the Mastercard Start Path program and in August closed a $15M Series A to continue global expansion. On stage, Anthony shared examples of how Divido is able to provide more payment options at the point of sale through their financing platform, as well as exciting challenges of a company going through tremendous growth. After Divido’s exciting talk, Amy Neale welcomed the banks back on stage to discuss innovation strategy and best practices for startups to engage with banks. Ted Scheiman (Swedbank), Siim Lepisk (SEB), and Anders Stenbäck (OP Bank) joined Amy and each shared their banks’ approach to working with startups. The second keynote speaker of the evening was Chad West, CMO at Revolut. 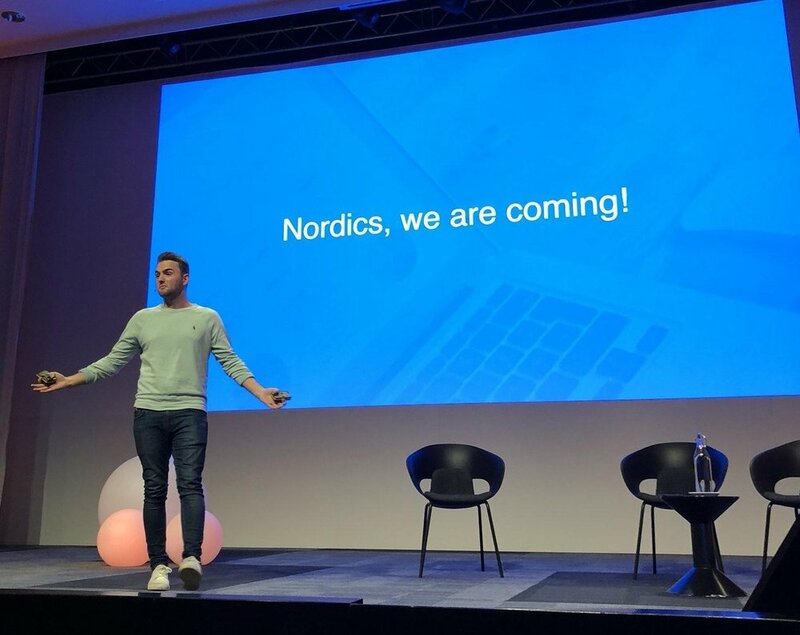 Revolut is arguably the most talked about fintech company in Europe right now, and the moment Chad stepped on stage the audience moved closer in anticipation. His talk brought use case, after use case of Revolut’s ability to quickly implement user friendly products that are met with endless customer demand. With new licenses in Singapore and Japan, a growth rate of 8,500 customers daily, and a possible fundraising round in early 2019 to take on the US, this was the fintech story worth hearing at Slush and Finding Fintech was the only place to listen in! After Chad rocked the stage and hearing from financial leaders, innovators, a soon to be unicorn, and a unicorn scaling to all parts of the world, the last missing piece was the investor point of view. So, Amy brought Pär Roosvall (NFT Ventures) and Lois Ollenshaw (NBS Ventures) on stage to learn more about investing in fintech. Each shared their advice for founders looking to raise capital. After a packed agenda it was time to announce the winner of the 2018 Lighthouse Development Program. The 4 finalists were invited back on stage with Mastercard and NFT Ventures. Mats Taraldsson from Mastercard began by reading a motivation of why the winner was chosen. Gripping suspense filled the room with each team cringing to hear their name- finally Enfuce was announced as the winner. Each finalist received a plaque and a donation in their name that provides 5 children in need of food, meals for an entire year. In addition, Enfuce was rewarded with an invitation to the final pitch session for the Mastercard Start Path program in New York, all expenses paid! After the excitement of the winner announcement the Lighthouse team opened 2019 applications for the Lighthouse Development Program, which will take place in Oslo, Copenhagen and Tallinn! You can submit an application here. 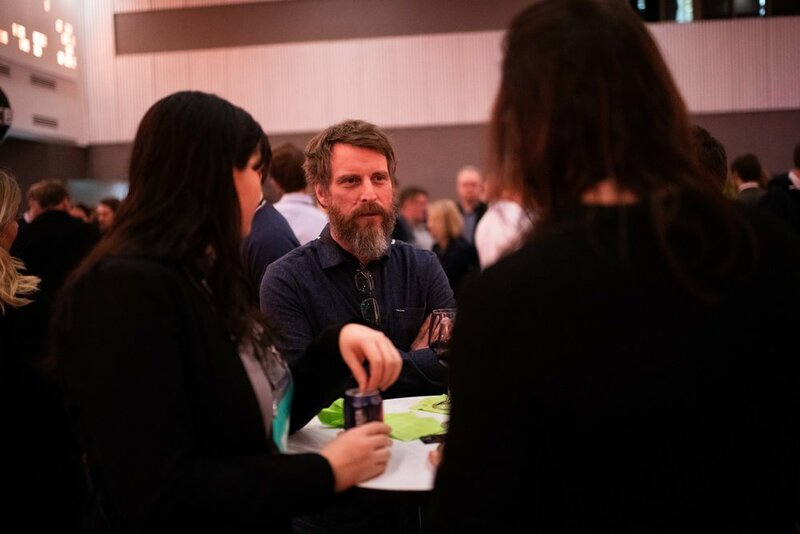 The event was followed by networking over drinks and Finnish pies and was a chance to meet with each of the banks and speakers on stage, as well as the fintech hubs from the Nordic and Baltic countries. It was incredible to see the demand for fintech at Slush 2018. Finding Fintech pulled in over 800 registrations from 52 countries and more than 500 people joined the event. The Lighthouse team was thrilled to see all of the conversations that took place following the program and we are already looking forward to a bigger event next year. 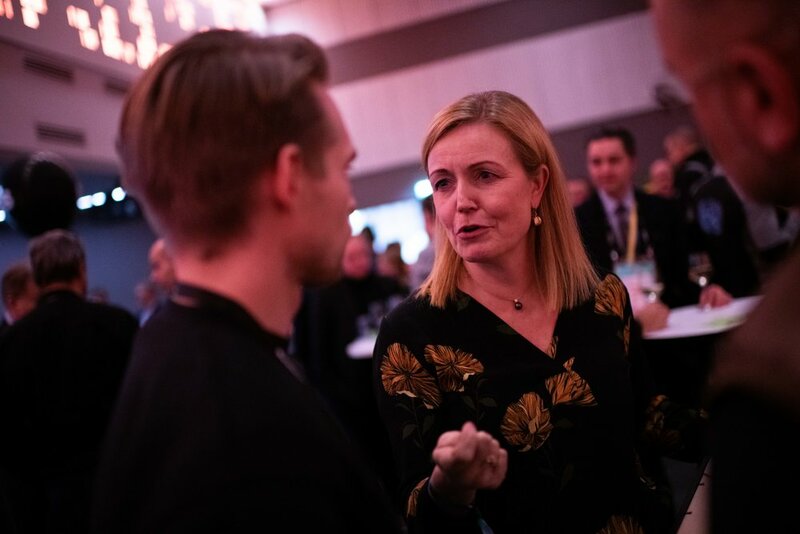 Many thanks to Amy Neale for keeping conversations engaging- to our banking partners Swedbank, OP Bank, and SEB- to our community partners Findec, NCE Finance Innovation, Copenhagen Fintech Hub, Helsinki Fintech Farm, and Startup Wise Guys- our investor speakers and keynote speakers, and of course to the best fintech audience at Slush! We will see you next year and don’t forget to Apply now to the 2019 Lighthouse Development Program! Newer PostTaking the mind-set to the next level!